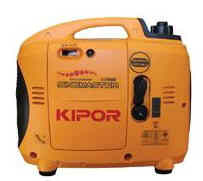 Quiet and lightweight, the generator lets you bring an outdoor power source to wherever you need it. It can run a radio/CD/DVD player, television, computer, small coffee maker, electric drill, or lights. You can even add a 500 Watt spotlight to your IG1000 with an optional mobile light kit. This generator allows parallel operation meaning you can pair it with another generator for additional power.